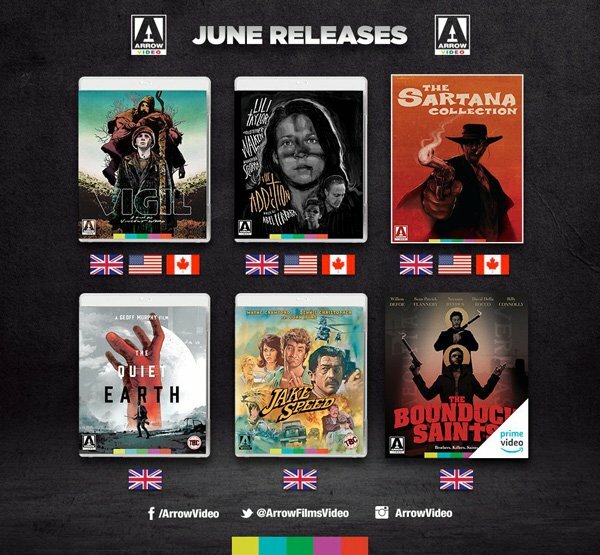 Arrow Video June 2018 Blu-ray Releases have recently been announced and it’s safe to say it’s not one of their best months but none the less it always good to see films making it on to Blu-ray. 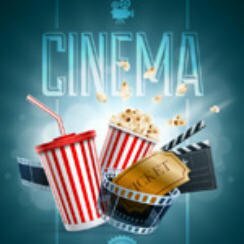 So just what titles can all of us movie lovers look forward to? Three of June’s releases will be available in the UK, American and Canada so we will take a look at those first. Vigil (1984) is a New Zealand drama from director Vincent Ward and stars Penelope Stewart, Frank Whitten and Bill Kerr. It’s available in the UK on the 11th June 2018 and day later in the US. Next up is The Addiction (1995) a vampire film from director Abel Ferrara and stars Lili Taylor and Christopher Walken. This one’s out on the 25th June 2018 in the UK and again a day later in America. For fans of spaghetti westerns there is somewhat of a treat as a boxset contains five Sartana films lands on the 25/26th June 2018 in the UK/US having undergone 2K restorations. There are two films that are UK only releases in June 2018, The Quiet Earth (1985) sci-fi post-apocalyptic film from director Geoff Murphy that stars Bruno Lawrence, Alison Routledge and Peter Smith. This one releases on the 18th June 2018. Finally there’s Jake Speed (1986) an action adventure film starring Wayne Crawford, Dennis Christopher, Karen Kopins and John Hurt. The film directed by Andrew Lane will be available from the 4th June 2018. So that’s the Arrow Video June 2018 Blu-ray releases, we’re not sure which of these we plan to review at the moment so keep an eye out closer to the release dates.